With the vast choice of online casinos out there, not only within the national borders of the United Kingdom but on a worldwide scale, how do you know which one is the right one for you? And with all the laws and regulations, how do you know that you are complying with them? 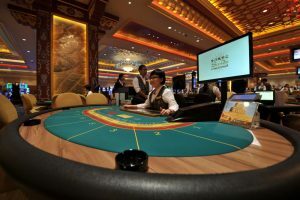 A golden tip when choosing a good online casino when you are a first-time player or even a regular player, is to keep checking media reports about online casinos and their practices. More than once have online casinos been fined for not complying with the rules. And this does not automatically result in losing their licence. When you want to protect yourself and you choose to self-exclude, this decision should be respected. But very often the online casinos use misleading advertisement that is even send to self-excluded customers as well. What about this licence they require? In the Great Britain, like in many other countries, the gambling industry is regulated by a Gambling Commission. Their main aim is to make sure gambling is done in fair and open manner and to protect children and vulnerable people. The Commission is also responsible for issuing licences to providers of (remote) gambling with their equipment both based within the borders of the UK and outside these borders. They are also in charge of investigating cases of illegal gambling. So, whenever the Gambling Commission asks for internal information from a gambling provider, they are obliged to cooperate with this investigation. Online casinos that are granted a licence by the Gambling Commission are under their supervision that everything is in line with the requirements imposed by the Gambling Act 2005. So, choosing a good online casino starts with making sure they have their licence in order. Lastly, you should enjoy your experience with your online casino of course. So, search for those who continuously invest in and innovate their technology.